The lower court order of July 16, 2009, which merely 'granted' a motion to dismiss, was not an appealable final judgment, see Gries Inv. Co. v. Chelton, 388 So. 2d 1281, 1282 (Fla. 3d DCA 1980); Donnell v. Indus. Fire & Cas. Co., 378 So. 2d 1344, 1346 (Fla. 3d DCA 1980), so an earlier appeal from that order was properly dismissed. Because the present appeal was timely taken from the judgment of September 1, 2011, which actually dismissed the case and was therefore the first appealable order entered below, the appellees’ motion to dismiss is not well taken. In Josendis v. Wall to Wall Residence Repairs, Inc. (09-12266), the Eleventh Circuit released a published decision affirming the district court's judgment relating to the Fair Labor Standards Act of 1938 (the “FLSA”). Judge Tjoflat wrote the opinion and Judge Cox concurred. District Court Judge Korman filed a dissenting opinion. "Wall to Wall moved to dismiss the complaint pursuant to Federal Rule of Civil Procedure 12(b)(6) for failure to state a claim for relief. Because Wall to Wall attached an affidavit and a statement of undisputed facts to its motion, the district court converted the motion to a motion for summary judgment pursuant to Rule 12(d) and gave the parties 'a reasonable opportunity to present all the material that [was] pertinent to the motion. '” After the court ordered deadline to present material passed, Josendis served discovery requests. "Wall to Wall objected to this discovery and moved the court for a protective order under Rule 26(c). The court granted Josendis leave to engage in discovery limited to the issues presented in Wall to Wall’s motion, and sanctioned Josendis’s attorney pursuant to Rule 37(a)(5)(B) for abusing the discovery process." Issues on Appeal: "At the close of this limited discovery, the court granted Wall to Wall summary judgment on Josendis’s FLSA claim and dismissed his state law claim without prejudice. Josendis now appeals that ruling. He contends that material issues of fact precluded summary judgment and, alternatively, that, had the district court not limited his discovery as it did, he would have uncovered evidence that would have created material issues of fact. Josendis also appeals the district court’s sanctions order against his attorney." The FLSA mandates that an “employee” who is “engaged in interstate commerce” must be paid an overtime wage of one and one-half times his regular rate for all hours he works in excess of forty hours per week. 29 U.S.C. § 207(a). If a covered employee is not paid the statutory wage, the FLSA creates for that employee a private cause of action against his employer for the recovery of unpaid overtime wages and back pay. Id. § 216(b). Wall to Wall, formerly a Florida corporation engaged in the home restoration and repair business,10 employed Josendis from November 8, 2006, until February 11, 2008—excepting two months in 2007 when Josendis worked for a separate construction enterprise. Jorge Acosta and Eloisa Lim, both codefendants, managed Wall to Wall and its employees and were directly involved in all of Wall to Wall’s business activities during that period. 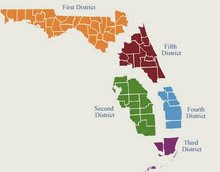 While working for Wall to Wall, Josendis was assigned to various construction projects in and around southern Florida. His duties included plumbing and tiling; window, door, floor, and kitchen installation; and stucco and granite work. He worked more than forty hours a week and earned approximately $120 per day. Wall to Wall did not, however, pay Josendis the overtime rate mandated by 29 U.S.C. § 207(a) for covered employees. After Josendis ceased working for Wall to Wall due to a dispute over back pay, he filed suit. In response to the suit, "Wall to Wall argued 13 that the complaint should be dismissed because its allegations—coupled with the statement of undisputed facts, the affidavit, and the federal tax return—showed that Josendis was ineligible for overtime compensation under the FLSA via individual coverage and enterprise coverage. As Acosta stated in his affidavit, (1) Josendis had not engaged in interstate commerce as a Wall to Wall employee, and (2) the $249,719 of income reported in the federal tax return evidenced that Wall to Wall had not satisfied the gross receipts threshold of $500,000 in any of the years in which Wall to Wall had employed Josendis." Josendis filed a Verified Amended Complaint to which Wall to Wall filed a new motion to dismiss which asserted the same arguments as those raised in the original motion to dismiss. "On October 24, 2008. In the memorandum, he stated that he could not adequately defend against the motion, if treated as a motion for summary judgment, without additional time to complete the discovery he thought would be necessary to establish FLSA coverage. Despite the memorandum’s statement that additional time was needed for discovery, Josendis did nothing to obtain this necessary information while Wall to Wall’s motion was pending. In fact, nothing happened in the case until January 16, 2009" when the district court entered an order allowing Josendis until noon on February 3, 2009 to propound discovery. "When the clock struck noon on February 3, Josendis had not noticed the taking of any depositions or served Wall to Wall with any interrogatories or requests for admissions or production of documents. Nonetheless, approximately two hours after the court-imposed deadline had passed, Josendis faxed to defense counsel three sets of extensive discovery requests...." With regard to the discovery requests, the district court concluded “'[i]t is obvious that the drafting of [Josendis’s] instant discovery requests was done without any effort to constrain them within the bounds set for discovery at this time: responding to [Wall to Wall’s summary judgment motion].' The court subsequently ordered Costales to pay Wall to Wall $330 in attorney’s fees." This sanction was affirmed in the Eleventh Circuit's opinion. Josendis has failed to make a showing sufficient to survive summary judgment. In short, he has not satisfied his burden of coming forward with any admissible evidence beyond mere speculation to rebut Wall to Wall’s evidence on the essential elements of individual and enterprise coverage....An employee is subject to individual coverage if he is directly and regularly “engaged in” interstate commerce......For Josendis to survive summary judgment, he needed to produce admissible evidence that he (1) worked directly for an instrumentality of interstate commerce, or (2) regularly used the instrumentalities of interstate commerce....Josendis was not working directly for an instrumentality of interstate commerce. Josendis would therefore have had to come forward with evidence, beyond mere speculation, that, as a part of his work duties, he repeatedly traveled to and from Wall to Wall job sites outside of Florida or used an item moving in interstate commerce.....Josendis did not make a showing that he directly engaged in interstate commerce as a part of his responsibilities and, thus, cannot survive summary judgment on this record. In HSBC Bank USA, N.A. v. Reed (1D10-6209), the First District quashed an order entered by the Circuit Court enforcing a settlement agreement. In this mortgage foreclosure case, "trial court entered a final judgment in mortgage foreclosure in favor of Appellant, which included an award of attorney's fees and costs....Twenty days after the entry of the final judgment...the trial court entered an order purportedly requiring post-judgment mediation. During the post-judgment mediation, the parties signed what is now the disputed Settlement Agreement." "Appellees filed a Motion to Enforce Settlement Agreement, asserting that the parties reached a final settlement at the mediation conference and that the proposed Modification Agreement deviated from the parties' Settlement Agreement on a number of terms." Ultimately, the trial court granted the motion to enforce the settlement agreement. Although not raised by either party, the Order On Motion To Enforce Settlement, entered after entry of the final judgment, is not a valid order. “Once a final judgment has been rendered and the time for filing a petition for rehearing or motion for new trial has passed the court loses all jurisdiction over the cause other than to see that proper entry of the judgment or decree is made and the rights determined and fixed by it are properly enforced.” Seddon v. Harpster, 438 So. 2d 165, 168 (Fla. 5th DCA 1983); see also Pruitt v. Brock, 437 So. 2d 768, 772-773 (Fla. 1st DCA 1983) (holding that "'[i]t is the established law of this state that a trial court loses jurisdiction of a case at the expiration of the time for filing a petition for rehearing . . .'") (citation omitted)). Although from the record it appears that the trial court was attempting to correct the parties" failure to attend mandatory mediation, it was without jurisdiction to issue the order requiring post-judgment mediation and the Order On Motion To Enforce Settlement Agreement, because it had not vacated the final judgment entered on June 9, 2010. Does Section 95.011, Florida Statutes, Apply To Artbitration When The Parties Have Not Expressly Included A Provision In Their Arbitration Agreement Stating That It Is Applicable? The Account Holders' grievances may briefly be summarized as claims of negligence; misconduct, including breaches of fiduciary duty; and state and federal securities violations. In response to the Account Holders' claims, Raymond James filed a motion to dismiss, asserting that the Account Holders' claims were barred by the limitations periods in chapter 95, Florida Statutes (2005). The Account Holders then invoked the provision in the arbitration agreement which stated that timeliness issues would be decided by the court, and they filed an action in the circuit court of Collier County seeking a declaratory judgment. The Account Holders argued that Florida's statutes of limitations do not apply to arbitration proceedings. The circuit court agreed and issued a final declaratory judgment stating that Florida's statutes of limitations were not applicable to the Account Holders' arbitration claims as a matter of law. The language of the contract at issue in this case does not expressly state that Florida’s statutes of limitations apply to the arbitration claims. Instead, the language states that the contract will not "limit or waive the application of any relevant state or federal statute of limitation." The Account Holders argue, and we agree, that this phrase does not affirmatively incorporate Florida's statutes of limitations into the agreement. The phrase indicates that Raymond James did not intend to waive any relevant statute of limitations defenses. In sum, Raymond James did not expressly include the Florida statutes of limitations in the contract. Since the contract is construed against the drafter and since the language of the statute does not state that it applies to arbitration, we hold that Florida's statutes of limitations do not apply to arbitrations where the arbitration agreement does not expressly provide for their application. Thus, the trial court correctly determined that Florida's statutes of limitation do not bar the Account Holders' claims. 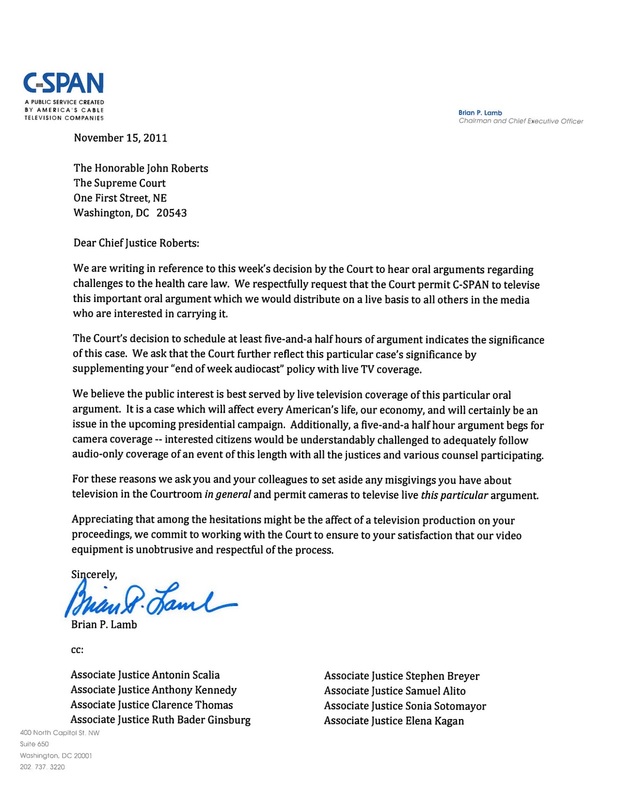 I am sure the request will be denied as this is the same Court that entered a stay (see HERE) to prevent a California District Court from broadcasting its trial. 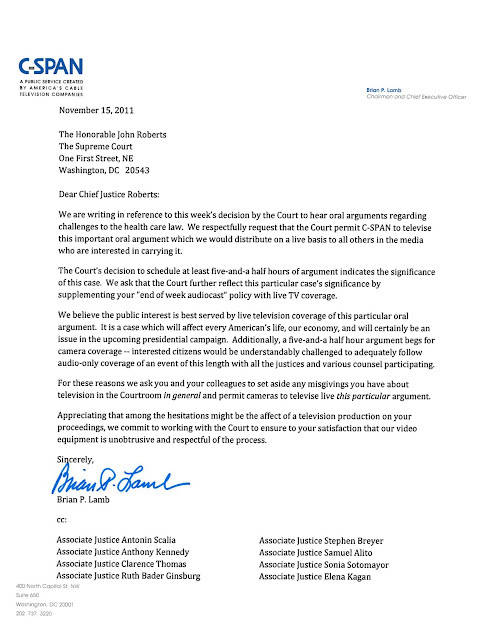 The Court also denied THIS request from C-SPAN and CNN in 2000 asking to broadcast the Bush v. Gore oral argument (an article is available HERE). However, the Court did release the audio of the Bush v. Gore argument on an expedited basis and you can listen to the audio HERE and HERE. Of course, you could have watched the argument before the Florida Supreme Court live and can watch an archived copy HERE. The audio recordings of all oral arguments heard by the Supreme Court of the United States is available to the public at the end of each argument week. The audio recordings are posted on Fridays after Conference. The public may either download the audio files or listen to the recordings on the Court’s Web site. The audio recordings are listed by case name, docket number, and the date of oral argument. The Court began audio recording oral arguments in 1955. The recordings are maintained at The National Archives and Records Administration. Prior to the 2010 Term, the recordings from one Term of Court were not available until the beginning of the next Term. The Archives will continue to serve as the official repository for the Court’s audio recordings. Beginning with October Term 2010, the audio recordings of all oral arguments heard by the Supreme Court of the United States will be available free to the public on the Court’s Web site, www.supremecourt.gov, at the end of each argument week. The audio recordings will be posted on Fridays after Conference. The public may either download the audio files or listen to the recordings on the Court’s Web site. The MP3 files of the audio recordings may be accessed by clicking on the “Oral Arguments” prompt on the home page, and selecting “Argument Audio.” The audio recordings will be listed by case name, docket number, and the date of oral argument. The recordings will also be accessible by clicking on “What’s New” on the site’s home page. The Court began audio recording oral arguments in 1955. The recordings are maintained at The National Archives and Records Administration. Prior to the 2010 Term, the recordings from one Term of Court were not available until the beginning of the next Term. The Archives will continue to serve as the official repository for the Court’s audio recordings.